Have you found yourself wondering about the adorable Chow Chow Husky Mix, also known as the Chusky or Husky Chow Mix? Are you curious about whether the Chusky would be the right addition to your household? You’re in luck! Welcome to the Complete Guide to the Chow Chow Husky Mix! In this article, we explore the ins and outs of this intelligent, distinguished, and mischievous crossbreed. What exactly is a Chusky? A Chusky is the offspring of a purebred Chow Chow and purebred Husky. 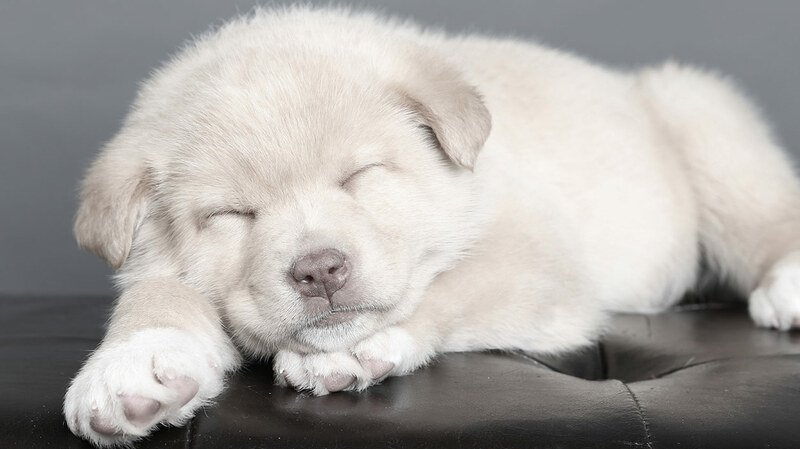 Since the Chow Chow Husky Mix is a crossbreed, many of its characteristics will be left up to chance depending on which purebred parent they take after most. This can include variations in temperament, personality, physical features, and more. But what is crossbreeding and is there really controversy surrounding the practice? Let’s find out! A crossbreed sometimes referred to as a ‘designer dog’ or ‘hybrid’ is the offspring of two purebred parents. Crossbreeding is still a relatively new practice, and has only increased in popularity over the last decade or so. Because of this, there are still many debates. For example, many people consider a crossbreed and mutt to be the same. However, supporters of crossbreeding insist that crossbreed dogs are the result of only two purebred parents. Whereas mutts may have several different breeds in their bloodline. Supporters also claim that crossbreeding may help to reduce instances of genetic health defects that purebred dogs are so prone to as a result of many generations of inbreeding. Cynics disagree, arguing that generational health problems can be just as prevalent in crossbred dogs, if not more so. You can learn more about some common objections to crossbreeding this article. Whether you support crossbreeding or not, if you’re considering adding a new dog to your household, it’s always wise to learn as much about your desired breed—or crossbreed—as possible. So read on to find out what makes the Chusky a Chusky! The Chusky is still a relatively new crossbreed, so there is very little known about its origin. However, looking into the history of both purebred parents of the Chusky can help us learn more about the Chow Chow Husky Mix and what makes them tick. Let’s begin with the Chow Chow. The Chow Chow is considered by many to be one of the oldest dog breeds in the world, pictured in ancient artifacts hailing from the Han Dynasty of around 206 BC. However, historians believe the Chow Chow may have been around much, much longer than that! The Chow Chow is said to have held many positions over this long period including royal companion dog to those of nobility in China. The emperor of the Tang Dynasty is purported to have owned over 5 000 Chow Chows at once! Despite being seen as a noble companion dog, the Chow Chow was also known for being a hard worker, taking on jobs such as hunting, guarding, and hauling. Eventually, even Queen Victoria, a renowned dog lover herself, had to get her hands on one! There is even a rumor that the original teddy bear was modeled after Queen Victoria’s Chow Chow puppy. You can definitely see how this legend came to be considering the fluffy fur and bear-like face of the adorable Chow Chow! Eventually, the Chow Chow made his way to the United States of America in the 1890’s and was officially recognized by the American Kennel Club (AKC) in 1903. Today, the Chow Chow ranks number 74 of 192 on the AKC’s list of America’s most popular dog breeds. The Husky is believed to be a descendant of the original sled dog of Northeastern Asia. At first, these ancient dogs were bred as companions and sled dogs for the Chukchi people. However, as the climate began to change and the weather grew colder, the isolated Chukchi were in need of a new type of dog. One that could endure hauling loads and sleds through vast forests in freezing temperatures. And so, the Siberian Husky was born. The Husky has ties to the Northern Hemisphere, Siberia, Canada, Alaska, Greenland, Baffin Island, and Labrador. The working dog’s unique coat and athletic stamina led them to win multiple sled races during the early 1900’s. More impressively, the Husky became nationally known when Leonhard Seppala, a famous musher, led a group of Siberian Huskies on a trek over 658 miles. The purpose of the five-day trek was to deliver lifesaving medicine to Nome, Alaska after a deadly outbreak of diphtheria. This valiant run won the public over and Siberian Huskies quickly grew in popularity. In fact, the Siberian Husky still ranks number 12 out of 192 on the AKC’s list of America’s most popular dog breeds. Today, the Husky is mostly used as a gentle, intelligent family companion. Although there are still many mushers who keep sled dogs and utilize the Husky’s hardy qualities to get certain jobs done in brutal temperatures. So how do the backstories of the Chow Chow and Husky influence their Chusky offspring? When dealing with any crossbreed, it’s important to remember that the outcome of things like temperament can be unpredictable, and the Chusky is no exception. 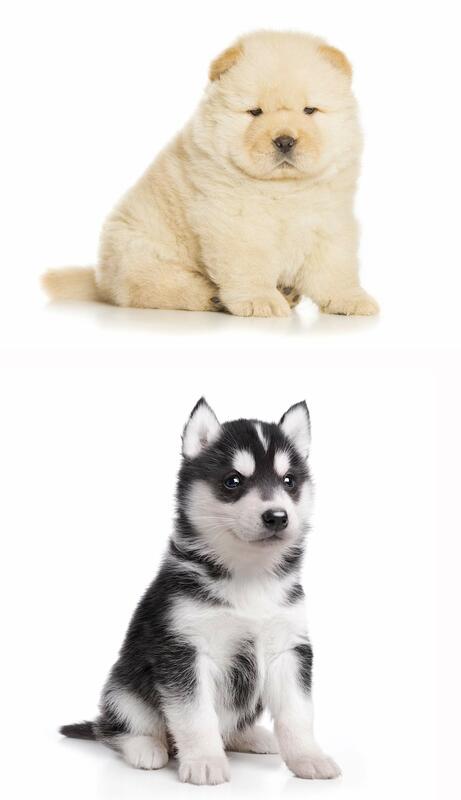 However, both the Chow Chow and Husky share some similar qualities. For example, a prospective owner can except their Chusky dog to be active, loyal, and loving of family members. But what other temperamental traits could your Chow Chow Husky Mix inherit from their purebred parents? Let’s start with the Chow Chow. The Chow Chow is a more serious-minded dog, considerably dignified with a reputation for being aloof with strangers. However, they love their human family and displays plenty of affection and loyalty to those they know. A properly trained Chow Chow is gentle and can make a wonderful family dog. The Chusky’s dignified nature goes well with that ‘scowling’ expression, though they truly can be very friendly sweet dogs, especially to those who raise them. The Chow Chow is easily adaptable to both apartment and house living, and their intelligence makes them easy to train! So what about the Husky? Unlike their Chow Chow counterpart, Huskies is all about humans and other dogs, with no aloofness in their personality whatsoever! The husky was bred as a pack dog to pull sleds, so they get along famously with people of all ages and love being around other dogs. The Husky makes a great family dog, though they can be a bit mischievous in nature and behave much like a curious child, always getting into things. They love to run and play, and due to their history, it is no surprise Huskies also loves cold weather and snow! Considering the above information, a prospective Chusky owner should prepare for a dog who is loyal and loving. In addition, your pup may be a bit aloof if they inherit their Chow Chow parent’s more serious disposition. As with all dog breeds, early socialization and proper training are recommended to ensure the health and happiness of your Chow Chow Husky Cross. Just as with temperament, the Chusky may inherit a wide range of physical traits from both purebred parents. This applies to features like coat color, weight, and height, which will be left up to chance depending on which parent your Chusky takes after most. The Chow Chow, for example, is a compact dog famous for their very thick, coarse coat and main-like ruffle around their neck and chest. The full-grown Chow Chow will be around 17 to 20 inches tall. A male Chow Chow weighs approximately 55 to 70 lbs whereas a female may weigh between 45 to 60 lbs. A full-grown Siberian Husky male will grow to be 21 to 24 inches tall and weigh 45 to 60 lbs. A female Husky will be 18 to 20 inches and weigh 35 to 50 lbs. The Husky can have brown or blue eyes, and in some special cases, even one of both! As you may have gathered from the above information, both the Chow Chow and the Husky have very thick coats. Therefore, a potential Chow Chow Husky Mix owner should prepare for a crossbreed that is similar. Otherwise, the Chusky’s appearance can vary depending on what purebred parent they favor more genetically. Since both the Chow Chow and Husky are shedders, a prospective Chusky owner should prepare for a lot of grooming. As mentioned above, the Chow Chow comes in both a smooth and rough coat, but either version is a lavish double coat that requires consistent grooming and brushing. Brushing will be required at least twice a week to reduce matting and keep your Chow Chow’s skin and fur healthy. Special care should be taken around the Chow Chow’s neck and head, as the fur there is longer and can become badly knotted, and may cause pain to your Chow Chow. Chow chows also need a monthly bath, and a thorough brushing is recommended after bathing as well as drying with a blow dryer on the cool setting. The Husky, on the other hand, requires slightly less maintenance as they are naturally self-cleaning. Still, weekly brushes should be implemented to maintain healthy skin and a shiny coat. Although the Husky enjoys playing and being outdoors, they truly only need bathing a few times a year. The Husky does have an undercoat that sheds twice a year, and loose fur will need to be brushed free using a metal comb. Apart from brushing and grooming, you should also be prepared to clear your Chusky’s ears regularly to keep wax and moisture at bay. Your Chusky will also need regular nail trimming to avoid splitting and cracking. Both the Chow Chow and Husky are active, intelligent breeds, therefore, they are known to exhibit some stubborn behavior. 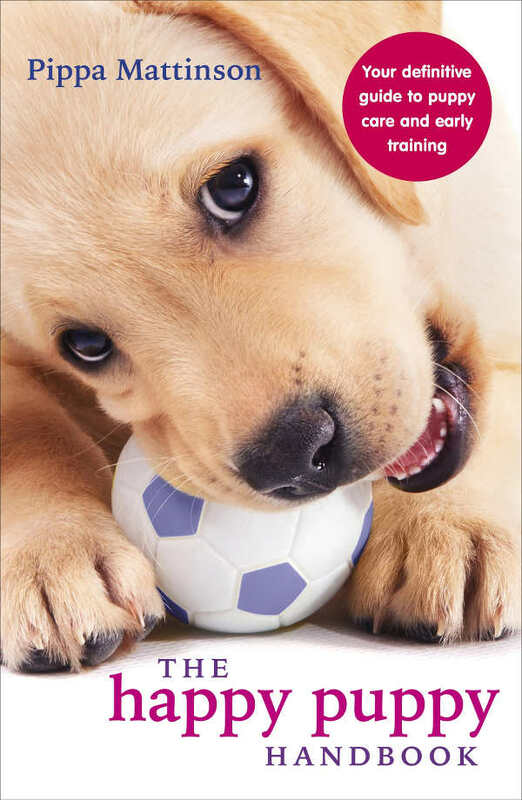 In any case, with a bit of patience and positive-reinforcement methods, training can be an enjoyable and fun experience. Training can also be a wonderful bonding experience between you and your Chusky, enabling trust and loyalty to develop. The Chusky is likely going to be a smart and friendly crossbreed, especially if they take after their Husky parent. Since they are active dogs, both the Chow Chow and Husky require an adequate amount of exercise. The Husky especially enjoys running outdoors. So you should expect lots of play time and daily walks or jogs with your Chow Chow Husky Mix. Bear in mind that since the Chow Chow and Husky have such lush coats, they will not tolerate heat well. Therefore weather is something to be mindful of when taking your Chusky outside to exercise—they could overheat and become sick. Although both the Chow Chow and Husky are known to make great family companions, early socialization and proper training of your Chusky puppy is recommended. This ensures your Chusky grows up to be well adapted and happy. As with all crossbreeds, Chuskies are prone to inheriting certain health issues from their purebred parents. We recommend doing extensive research on health issues that both the Chow Chow and the Husky can be predisposed to. The most concerning health issues are briefly covered below. Purebred Huskies are known for being one of the healthiest purebreds with a lifespan of 12 to 15 years. Keeping the above in mind, your Chusky’s lifespan could be anywhere from 11 to 15 years and health issues may vary depending on what issues his purebred parents have passed on. Early health screening of your Chusky can help avoid or prepare for future health issues. It’s important to make sure your puppy’s parents have been properly screened and cleared of certain health issues. You can learn more about health testing requirements from the American Kennel Club. The purebred parents of your Chusky are both active, intelligent dogs that can easily adapt to most environments. The ideal Chow Chow Husky Mix owner will have an active lifestyle and be able to exercise and train their Chusky regularly. Due to the Chusky’s thick, lush coat, they don’t tolerate warmer environments very well, so living in places with hotter climates may not be a great idea. With proper training and early socialization, the Chusky makes a wonderful family pet! However, allergy-sufferers beware.This crossbreed will likely shed a lot and may require consistent grooming, especially if they take after their Chow Chow parent! If you’ve decided the Chusky will be the perfect addition to your household, congratulations! By all accounts, they make wonderful companion dogs who display affection and loyalty to their human counterparts. Ensuring you get your Chusky Mix from a reputable source is incredibly important. We always recommend doing plenty of research before you decide where to get your Chow Chow Husky Mix from. Shelters can also carry all types of breeds and crossbreeds, however, finding a Chusky from one particular local shelter can be hit or miss, and will depend on what dogs available at the time. Although most shelters incur fees, they are often a fraction of the cost of what some Chusky breeders charge. You should be prepared to pay the shelter anywhere from $50-$100 for most adoptions. Most shelters will also cover initial vet fees ensuring your dog is suitable for adoption and ready for their new home! If you opt to buy a Chusky from a breeder, be ready to spend anywhere from $500 to over $1,000 depending on the breeder and history of your Chusky’s purebred parents. One benefit of going through a breeder is the ability to ask questions and dig into your Chusky pup’s history. Make sure to take advantage of this and do your research. Always look into any health or temperamental issues your Chusky puppy’s parents or previous litters may have had. And be sure to ask about health screening. Remember, reputable breeders will be able to provide certificates proving their dogs have been health screened. Is Chusky the Right for You? If you’re looking for an intelligent, energetic dog for you and your family, this loving mix might just be the right choice for you. The thick coat of the Chusky means they don’t fair well in hotter climates so be sure to bear this in mind when making your decision. Have you decided to welcome a Chow Chow Husky puppy into your family? Or maybe you’re already a proud Chusky parent? Let us know in the comments! Ready AE and Morgan G. 1984. The Physiological Response of Siberian Husky Dogs to Exercise: Effect of Interval Training. Canadian Veterinary Journal. Turcsán B et al. 2017. Owner Perceived Differences Between Mixed-Breed and Purebred Dogs. PLoS One. Sutter NB et al. 2004. Dog Star Rising: The Canine Genetic System. Nature Reviews Genetics. Ackerman L. 2011. The Genetic Connection; a Guide to Health Problems in Purebred Dogs, Second Edition. American Animal Hospital Association Press. My Maisie,14 yrs.old, just went to play with the angels. She was a great girl and I miss her like crazy. She was all black, but her hair would shine orange in the sun,she was just beautiful. She had a beautiful spirit and everybody loved her. I would love to have a Chow Choe puppy. I been looking for one.